New Delhi: Prime Minister Narendra Modi has cancelled a recent government order which sought to curb ‘fake news’ as per the outlook. The order was heavily criticized in various circles with many of them claiming that the Government Order was a veiled attempt to control Journalism and target Journalists who go against government’s will. They even made a point that the crime was not well defined by the government and was kept open-ended to frame anyone as per their will. The order was issued by the Information and Broadcasting Ministry headed by Smriti Irani with the aim to ‘punish’ erring journalists by taking back the accreditation. Many top editors and opposition parties came against the order openly and accused the government of trying to control the media. In response to the opposition, Ms Irani wrote on her twitter handle that she was open to any type of suggestions on how to modify the order and tackle fake news. That was not just enough and after 10 minutes there came an announcement from the Prime Minister’s Office informing that the controversial order was withdrawn. 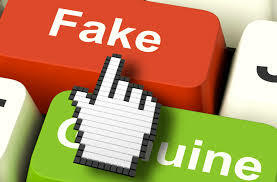 The Prime Minister’s Office also expressed that the questionability of keeping fake news under check should be left to media watchdog Press Council of India. This is the main reason that triggered a backlash after Smriti Irani’s move. 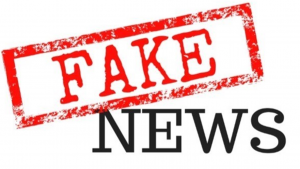 Everyone understands the strong need to stop fake news, but the order said that even a single complaint against a journalist alleged to have been running fake news means that they will lose government accreditation immediately for a time. The two main regulatory bodies for the print and broadcast media had a provision of 15 days to decide whether the journalist was guilty. According to senior editors, the move was aimed at giving the government more autonomy to control the news. They pointed out that, without an inquiry and fair trial, to limit a journalists access to government events and news conferences, was unfair. Journalists also proved the point that the deadline for the inquiry because it was decided without consulting those who regulate print and TV media. The first case to be contested is the government not providing any definition for ‘fake news’ but said complaints about it in print would be referred for determination to the Press Council of India, with suspected cases on television going to the National Broadcasters Association. Congress leader Ahmed Patel questioned whether the guidelines were aimed at preventing journalists from reporting news uncomfortable to the establishment. “What is guarantee that these rules will not be misused to harass honest reporters? Is it not possible that motivated complaints will be filed to suspend accreditation until enquiry is on?” Ahmed Patel wrote on his twitter handle.